Not sure how fax machines not on the list(unless it already is considered obsolete).. I will send you a picture of my oceanfront house in maui bought with bitcoins in less than 5 yrs. Sounds good to me Roofies. Always felt that Olowalu area has potential. Be sure to post your addy so we can visit! Not in the next 5 years but maybe 20 Cash. Big Brother wants to keep track of all of us. 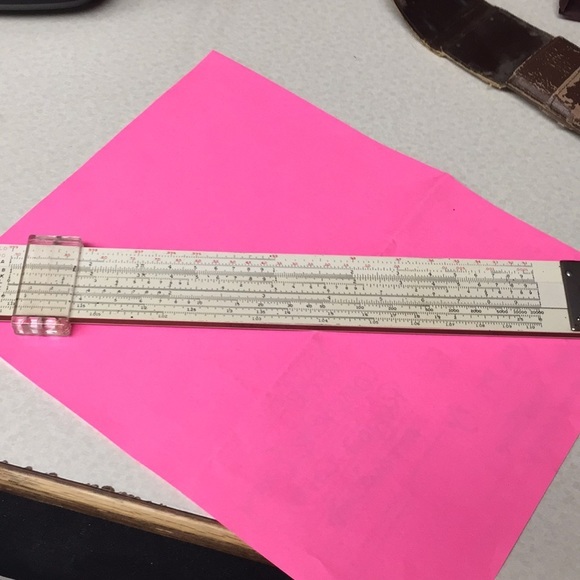 I threw my Post slide rule away a long time ago. I figured out that if you factored the numbers sometimes you could get the answer to land between 1 and 2 to get 4 digit accuracy. I can put that with my giant book of logarithms out to 20 digits. My TI Business 35 replaced them for doing Present Value of bonds in 1975. My picture in Facebook is my dog. I rarely use Facebook. I was horrified in 2010 when I got this email that someone tagged me in a party picture. When I hovered other people, I was encouraged to rat out who their names were. That is that last thing I would do is to tell possible FBI or police who I am or when, where, and how I am doing anything. I will say Facebook will go the way of myspace. Bitcoins should replace Netteller. Cable TV as we know it. ATSC 3.0 is going to have an effect like streaming has had on cable. Also red MEGA hats.. out. Make Ethiopia Great Again ? ?